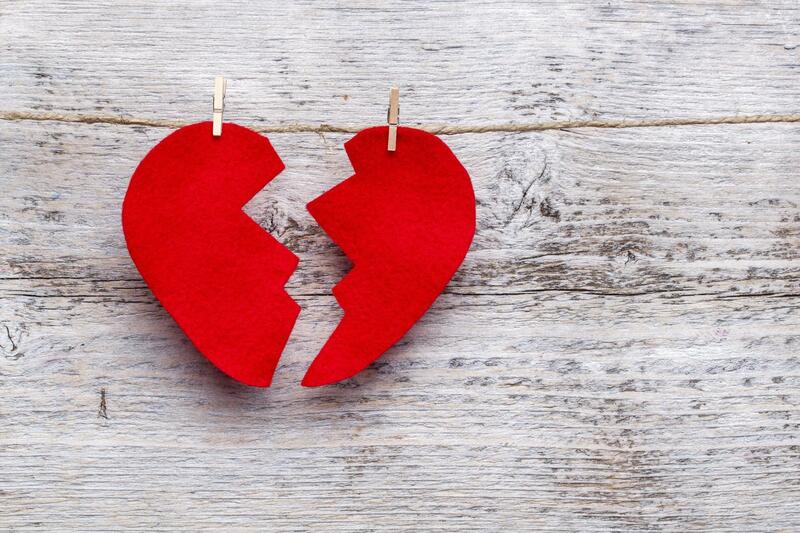 Heartbreak is never easy, especially on Valentine's Day week. No matter how many times you have had your heart broken, it always hurts the same; however, no two heartbreaks are equal. If you are in a relationship and your partner decides to break up with you, it may hurt more than if you had decided to break up with him/her because you probably did not see it coming or did not want it to happen. If you love hard or get attached easily, it may be even harder for you. Although there is no specific amount of time that takes for your heart to heal, this guide will help you move forward from that and speed up the process. Talking about what happened might hurt but it also helps you cope with the reality of the situation. Vent to someone who has been through a similar thing in the past so that he/she can give you advice. This also makes you think that if they went through that and are okay now, you will also be okay. Taking your mind off the breakup can help you feel better. Surrounding yourself with people who love you and can give you advice will help you see that you are not alone. You can also take this time to do things that you did not do with your partner, which will help you see that being single isn’t so bad after all and that you can still do fun things. While spending time with your friends is a good way to get your mind off of things, it only lasts a few hours. You need to find something to do that will consume all your time and mind. Since you probably have more time on your hands now, this is a great time to start trying new things. 4. Avoid stalking your ex on social media. While it is very tempting to see what he/she is up to, DO NOT stalk your ex on social media. Doing so makes it harder for you to move on, and will stress you out once you see that he/she has found someone else. Instead, focus on yourself and let things flow the way they have to. 5. Think about the bad times. When you break up with someone, you immediately start to think about the happy times you shared with him/her and begin to miss them. Looking at pictures of happy times will make you feel even sadder because those moments are gone. Instead, think about the bad things too: the arguments, the disagreements, and the moments when you did not feel as happy. It will remind you that being with that person was not perfect after all. This might sound superficial, but it really works! When you change your look, you have a new attitude and a newfound confidence. Changing up your look can also be quite refreshing. As Coco Chanel wisely said, “A woman who cuts her hair is about to change her life". Getting your heart broken is not something you get used to. It’s painful and it’s something that we don’t see coming. We can’t change the past, however, we can move forward and learn from that. If your significant other decides to break up with you, try to grow from that experience and take that time to work on yourself. The rest will come naturally. For now, focus on yourself. If it’s meant to be, it’ll be. A senior year Journalism major who loves fashion and beauty.